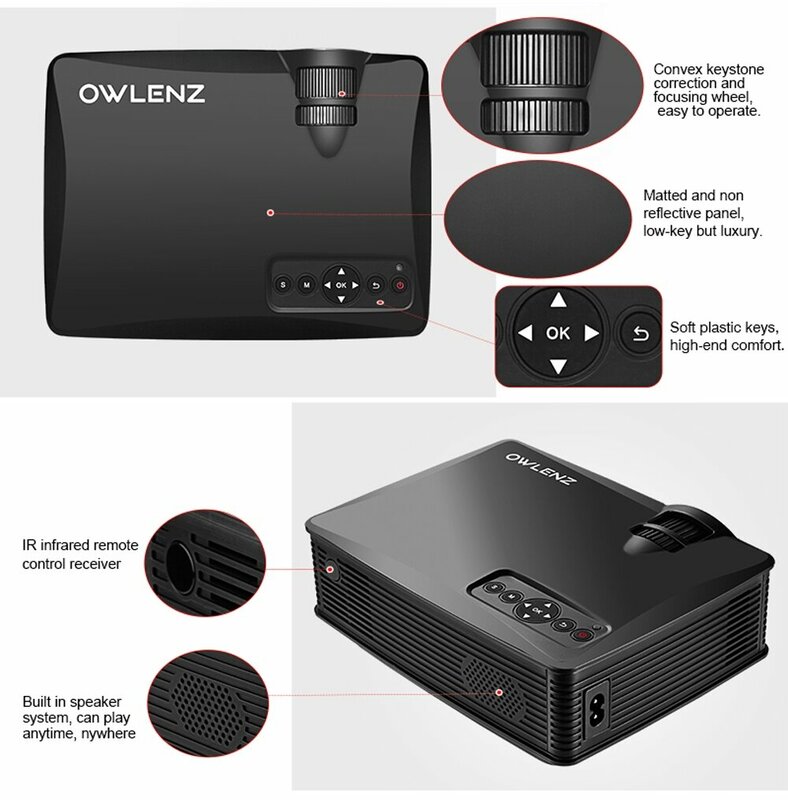 OWLENZ SD50 PLUSProjectoris a multimedia player with800 x 480 pixels, visible 1500 lumens and 1000:1 contrast ratio. 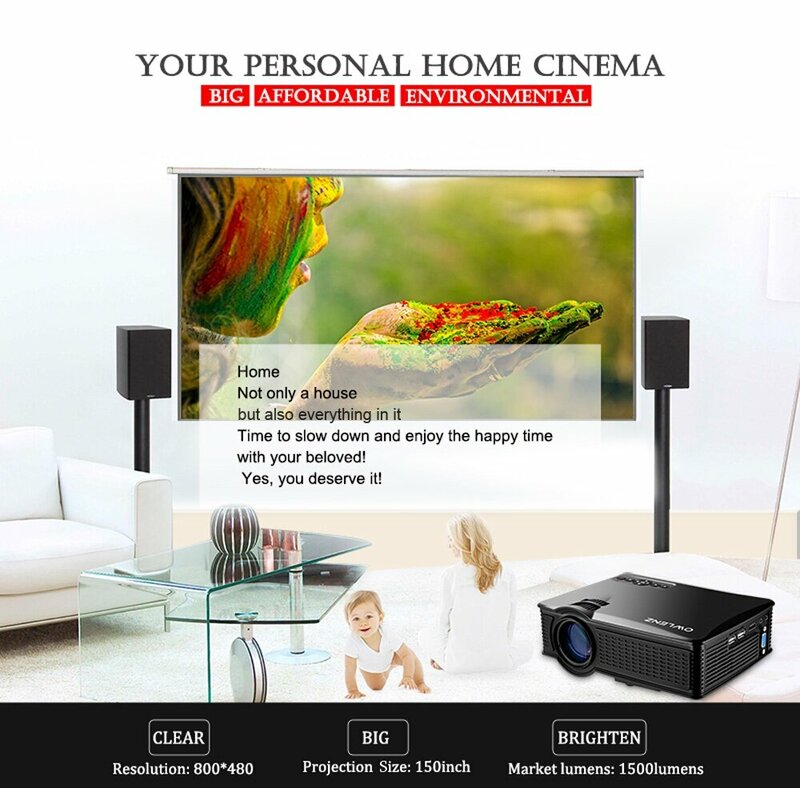 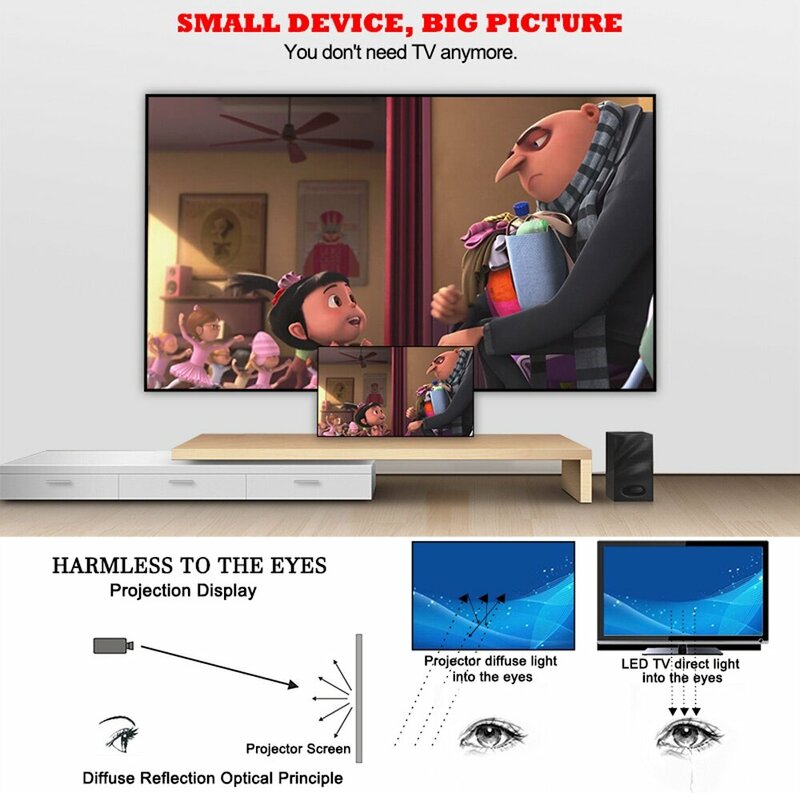 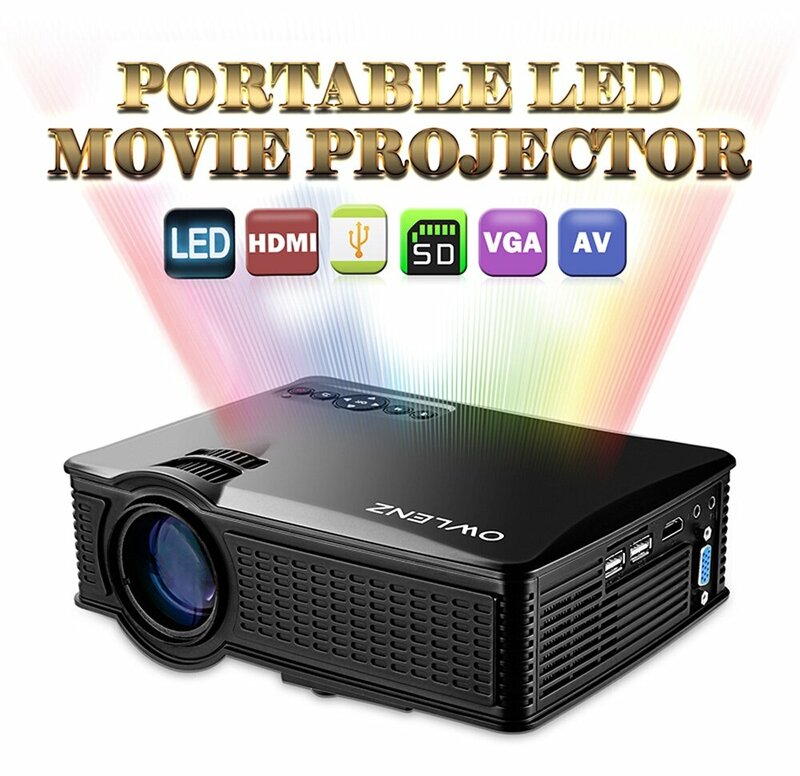 With this small but high-performance projector, you can enjoy the high-quality images and videos in a very comfortable position. 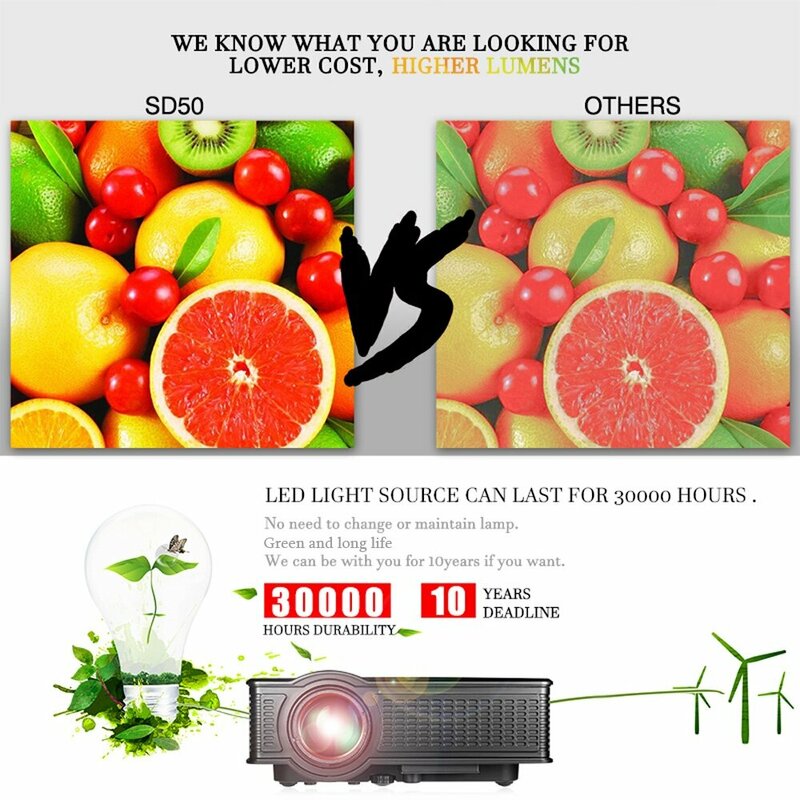 ●1500 lumens with 1000:1 contrast ratiofor clear, razor-sharp images. 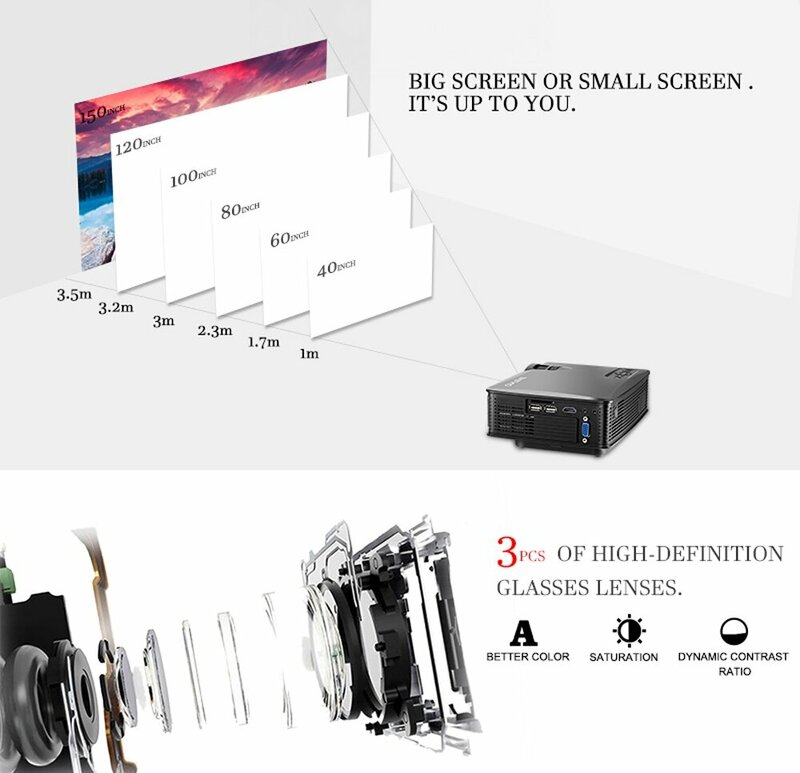 ● Withthe native resolution to be 800 x 480 pixelsand the highest resolution support1080P HDto make it clearer. 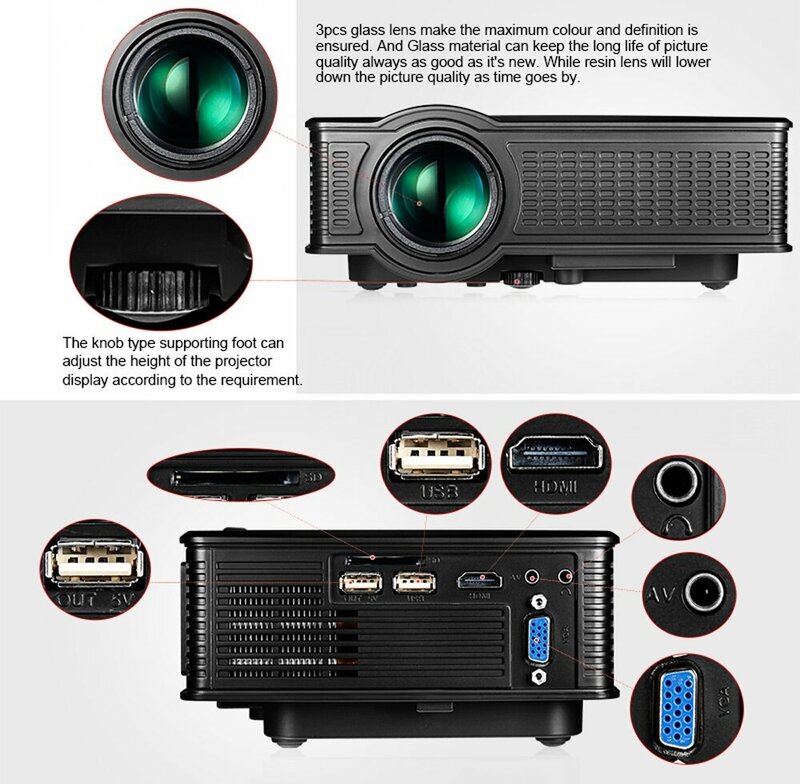 ● Manual focus adjusting get a picture from40 to 150 inches, and the distance of projection is from1.0 to 3.5 meters. 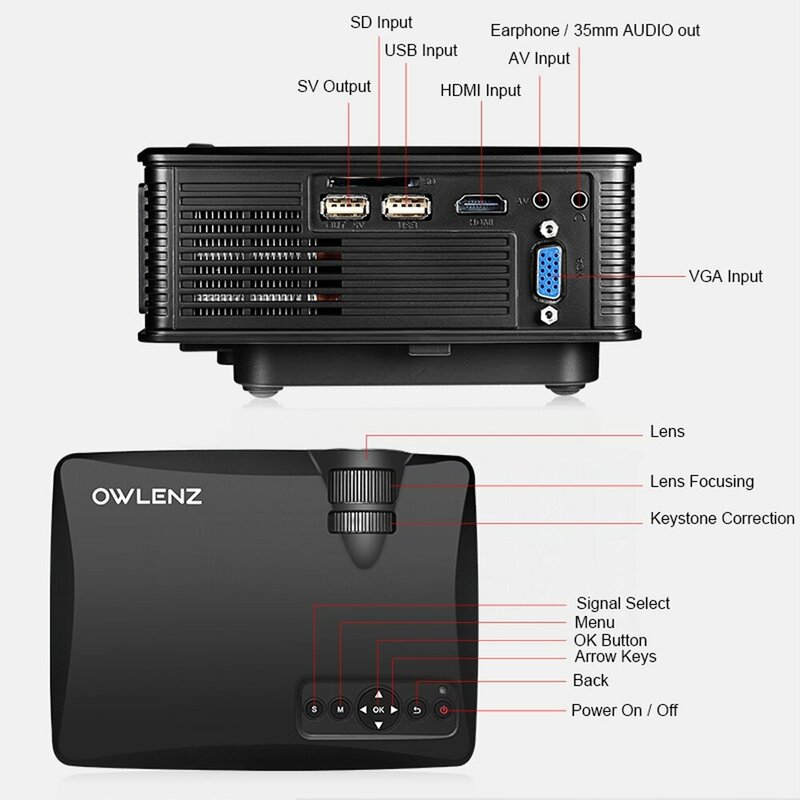 ●AV / SD / USB / HDMImultimedia interfaces for DVD player, laptop computer, set-top boxes, gaming consoles, etc..